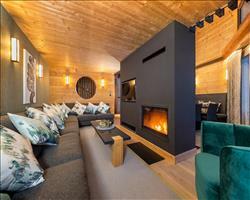 This attractive chalet has a superb location in Avoriaz. It sits right on the edge of the piste, perfect for the easiest possible morning start and for skiing directly back to the doorstep at the end of a days skiing. A high standard of accommodation is offered throughout, with modern, light-pine bedrooms, and a bright and airy open-plan living area with French doors, opening out onto a small terrace. The chalet also has its own private sauna. Chalet Perce Neige is semi-detached, and an exact mirror image of the adjoining Violetta, with a shared main entrance and shared stairs leading to the lower floor bedrooms for both chalets, and to an allocated ski and boot room for each chalet. In all other respects they are separate and individually hosted and catered. Rooms 1 and 2 have small recessed window - £50 per adult reduction in each room. Rooms 4 & 7 are partially under eaves, with a low beam reducing the maximum headroom in part of the room. Supplements per person per night: Bath £3; Shower and balcony £4; Shower/wc/balcony £5. In addition to our usual peak weeks, families with children are also welcome on the week commencing 15th Jan 2017. We update Chalet Perce Neige's details often, but facilities do change. e.g. some extras listed by the supplier as "free" or included might only be for the first time you use them, or for one time per party, then charged for further use. If any specific feature is essential to your holiday, make sure you ask us to confirm the details of it before you book your holiday. Portes du Soleil: €225. Ask for a quote when booking Chalet Perce Neige. 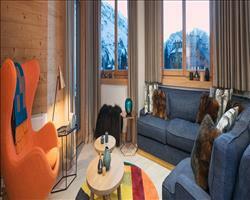 No 2 Penthouse Avoriaz France, Gatwick to Geneva 19th April. 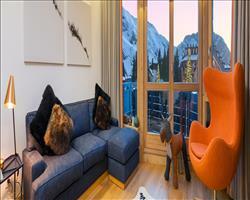 Chalet Beluga Avoriaz France, Gatwick to Geneva 15th December. 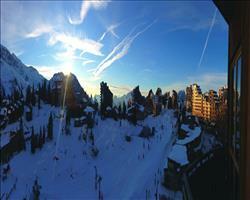 No 3 Penthouse Avoriaz France, Gatwick to Geneva 15th December. Chalet Kipnuk Avoriaz France, Gatwick to Geneva 19th April. 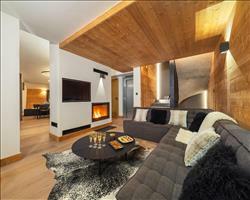 No 1 Penthouse Avoriaz France, Gatwick to Geneva 15th December. Chalet Marie Avoriaz France, Belfast Int to Geneva 14th December. 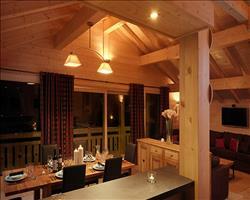 Chalet Ipaka Avoriaz France, Gatwick to Geneva 19th April. Chalet Poudreuse Avoriaz France, Gatwick to Geneva 15th December. 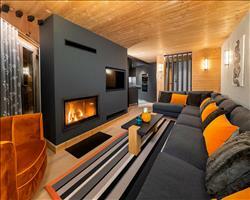 Chalet Kobuk Avoriaz France, Gatwick to Geneva 15th December. 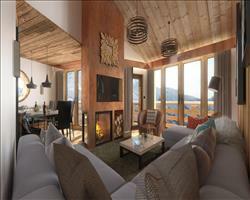 Chalet Kakisa Avoriaz France, Gatwick to Geneva 15th December. "My stay in the Perce Neige"
Chalet Perce Neige was very traditional and comfortable; it had an open plan dining room and lounge with light wooden cladding and carved benches with red cushions. Our double room was lovely but fairly small, we had ample wardrobe space however and an en-suite shower room and a big balcony looking towards the valley. The best thing is the location; ski in, ski out with ski school meeting points 50m away, but also really close to the centre. All shops and attractions are within a 5-10 minute walk to the main street through a public passageway with a handy escalator. Also deserving a special mention is the chalet chef, Ryan, who was an absolutely fabulous cook and we thoroughly enjoyed the free flowing chalet wine and after dinner games with the rest of the guests. 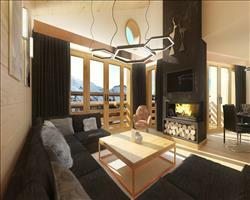 "On the slopes and near the nightlife"
Modern/updated yet traditional-style chalet sitting beautifully on the piste where you have access to the huge Portes du Soleil region. 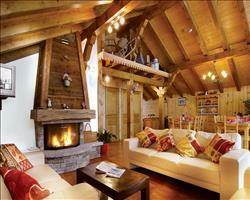 The chalet is light and airy, warming up the large open living area with cosy open hearth and generous heating. The village centre is within a short walk where all holiday makers can enjoy Avoriaz and its' après and nightlife. Whether it is on the slopes or in the resort centre that your focus lies, this is an ideal base for your ski holiday in Avoriaz. Recommended for the super keen who ski first lifts to last!